Groove Agent 4 is the ultimate drum studio and virtual drumming instrument for producers and songwriters working in any modern musical style. This unique instrument combines three specialist rhythm modules in one: craft dazzlingly authentic drum tracks, produce dancefloor-filling beats and design slinky percussive grooves with a dedicated Agent for each task; combine up to four Agents for a new experience in rhythm creation. Groove Agent 4 includes a huge sound library of over 22,000 samples and more than 3,800 patterns, a vast array of specialist editing tools, Style Player, the handy Jam mode, full integrated mixing board and much, much more. 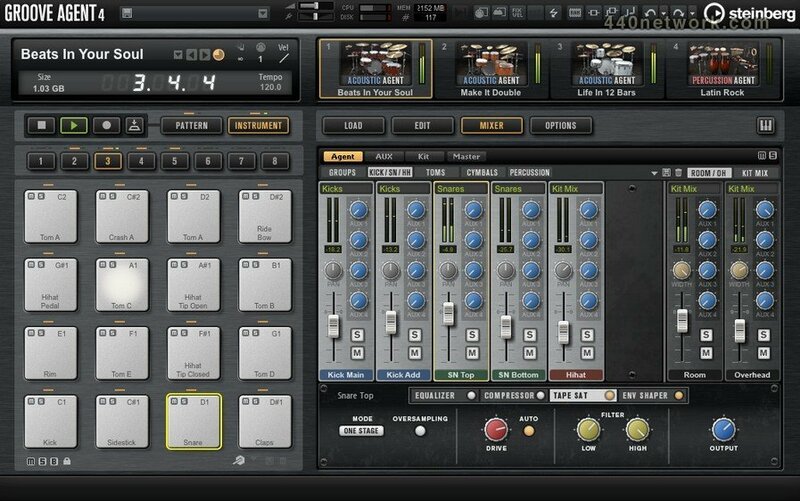 Groove Agent 2 comes with 50% more musical styles and drum kits. The 27 new styles offer an array of the latest grooves in diverse flavors currently in demand such as ultra-slick RnB, Bristol Trip Hop, Old Skool HipHop, Retro Rock, roof-raising Punk and grinding Grunge grooves. Providing the kerosene for the 27 explosive new styles are the 9 new drum kits. The all-new top-quality studio kit offers a highly polished, refined sound while being widely usable for many modern pop and rock productions. Other kit highlights include painstakingly recreated retro drum synths, ultra-hip noisy lofi drums, a diamond-hard metal kit as well as added percussive sounds. 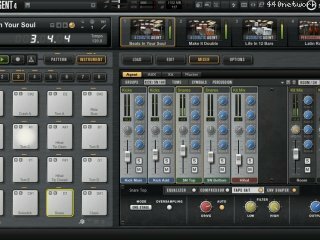 Other feature refinements include added output busses, with up to 8 stereo outputs now available within the virtual mixer of the host application. It's now also possible to bypass the internal Groove Agent 2 sample playback engine and to use Groove Agent as a MIDI player that triggers external samples. The GUI has also been overhauled, with added scales and easier access to vital controls. The new solo button for every group makes it easier to quickly focus on one group of sounds while tweaking and mixing. Groove Agent 2 also offers a new "Save to MIDI file" feature, which stores Groove Agent's rhythm output to a MIDI file for detailed editing, regardless of the DAW application hosting Groove Agent 2.